The Banajaga Yatra is the expedition for search of Maha Daru (wood from Neem trees) for carving out new idols of Lord Jagannath, Lord Balabhadra, Devi Subhadra and Lord Sudarshan. The Banajaga Yatra team started the journey on the 10th day of the bright fortnight of Chaitra, March 29, 2015. Over 100 priests comprising some Daitapatis, Pati Mahapatra Sevak, brahmin priests, Viswakarmas (carpenters), Acharya Brahmins, Lenka servitors, Kahalia, Deula Karana, Tadhau Karana and temple police would spend around 12 days in the mutt before venturing out in search of the daru which marks the beginning of Banajaga Yatra. After spending the first night at Jagannath Ballav mutt, the Banajaga Yatra team will leave for Deuli mutt. 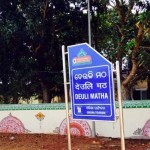 Kakatpur’s Bada Deuli mutt, popularly known as Deuli mutt, near the famous Mangala temple finds prominence during Nabakalebara festival as the servitors’ stopover at the mutt for swapnadesh (divine instructions) from the deity, after spending the first night at Jagannath Ballav mutt in Puri. As per the tradition, the bana jaga team will perform the Majana ritual and Yajna of the goddess. Majana niti of Maa Mangala is considered all important because it is only after the completion of this ritual that the Banajaga Yatra team members receive in their dream the divine prophesies on the locations of the darus or neem trees out of which new idols of Lord Jagannath, Lord Balabhadra, Devi Subhadra and Lord Sudarshan are carved. The Banajaga Yatra team splits into groups and move out in different directions looking for the darus after being blessed by Maa Mangala, the presiding goddess of Kakatpur. As per the schedule, the Daitapati servitors and servitors of Maa Mangala temple at Kakatpur would perform the jalabhisheka and majana of the Goddess on May 3. Later the Daitapati servitors will lie down (adhia) before the Goddess for her swapnadesha (order in dream) for the location of daru. Later, they will return to the Deuli Math where they will perform the brata and habisha after reciting the hymns of Nrusingha mantra, swapnadesha mantra. While performing Banajaga yagna and meditation, the Daitapatis will have the swapnadesha from the Goddess. 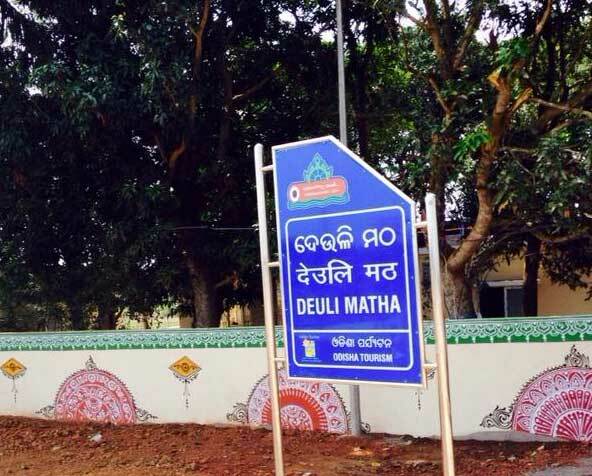 After the swapnadesha, the Daitapatis will have a meeting with their dalapati Haladhara Dasmohapatra, upadalapati (deputy leader) and senior servitors including Badagrahi, Biswabasu and Bidyapati before setting out in their mission in search of daru. The ‘Daitapatis’ are the descendants of Vishwabasu and they play the leading role in the ‘banajaaga jatra’ and will be the persons who will find the sacred trees. The group this time is led by the chief Daitapati Haladhar Dasmahapatra. The final selection of daru would be made as per the decision of the dalapati. The selection of daru would be made as per the instructions mentioned in the pothi (manuscript) which is with the Daitapatis. 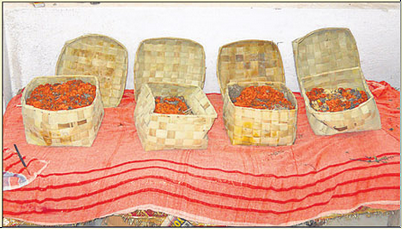 The daru will be collected from the Neem tree having the symbols of Sankha, Chakra, Gada and Padma in it. The Neem tree must be near a termite mound or a crematorium in the alongside of a river bank or a pond. 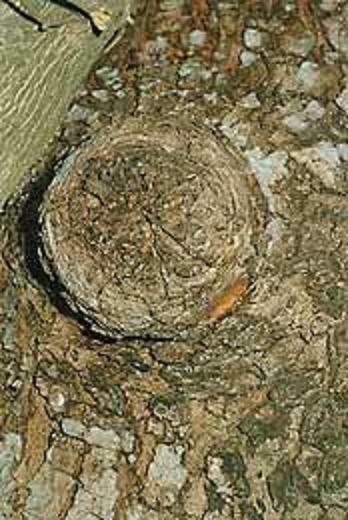 The tree must not have any branch lying below 12 feet from the ground level and does not have any birds’ nest in it. Besides, the tree must have four branches from its main log and not a single branch is found chopped off. The Margo tree must have four main branches. The colour of the tree should be dark black or red. There should be a crematorium near the tree. The tree should be located near a river or pond or a junction of three pathways or surrounded by three mountains. There should be a Shiva temple in the neighbourhood. There should be an anthill near the tree and a snake burrow at the base of the tree. The height of the tree should be between 10.5 and 18 ft.
After the daru is selected, the Badagrahi servitors would touch the Agyanmalas of the Lords to the tree. Later, the servitors would perform the rituals. While performing Ankuraropana ritual, the Lenka servitors would touch the Sudarshana Chakra to the tree after which the Stotriya Brahmins, Biswakarma, Daitapatis, Patimohapatra and Lenka servitors will move around the tree three times. They would perform these rituals by observing complete fast without water. The daru chedan ritual would commence at an auspicious time and with prescribed rituals. 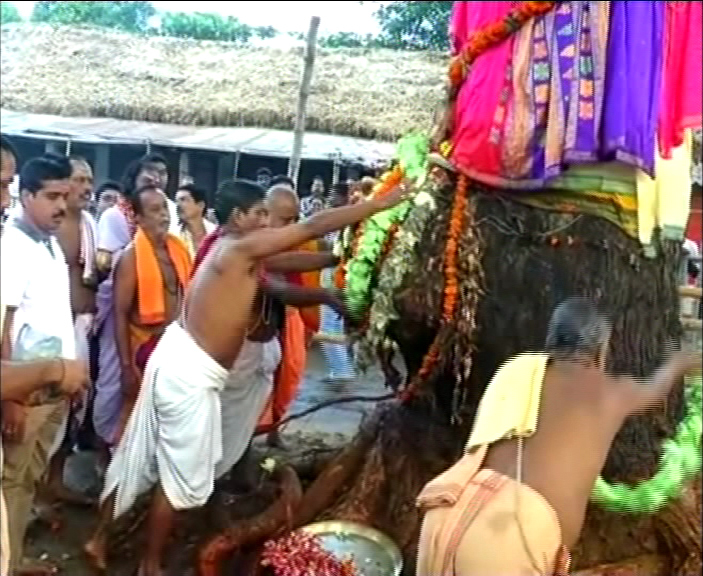 After the rituals are completed, the Patimohapatra and Biswabasu would touch the golden axe and silver axe respectively to the tree which will be chopped off later by the Biswakarma. The head wood carver of the Maharana family would touch it with an iron axe. During the tree cutting, the 108 names of God are chanted incessantly. The servitors, after collecting the log, will bury the remaining part of the tree. Then Chaupata works (Shaping the felling Neem tree to wooden log for carving idol) and Patali (Dumping of unused parts of Neem tree) ritual are done. Later, the log, covered with Pata bastra (silk cloth) would be brought to the Shri Jagannath temple in a cart made of Banyan, Kendu or Tamarind wood. 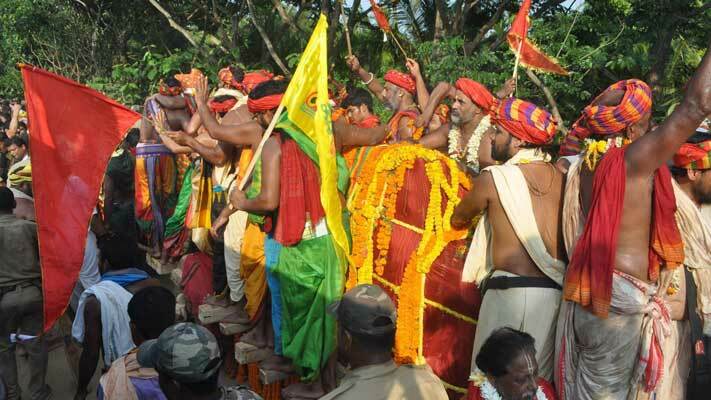 On their return journey, the Banajaga Yatra team, with the chariots laden with the daru, will go for a single day break journey and take rest at either Nrusingha Temple or Alamchandi Temple. On the following day, the Daitapati servitors would enter the Lord Jagannath temple from the Uttaradwara (North gate or Elephant gate) and reach the Koili Baikuntha. Koili means “burial ground” and Baikuntha means “Heaven”. It is the place where the old deities will be buried and the new ones made. Last time, the neem tree for Lord Balabhadra’s idol was traced to Salepur in Cuttack district. 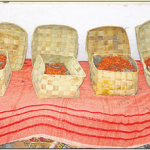 Trees for Lord Jagannath were found at Dadhimachhagadia in Khurda, and Devi Subhadra’s at Malda (Puri district) and Sudarshan’s at Niali in Cuttack district. Copyright 2015 © Jagannathdham.in. All rights reserved.